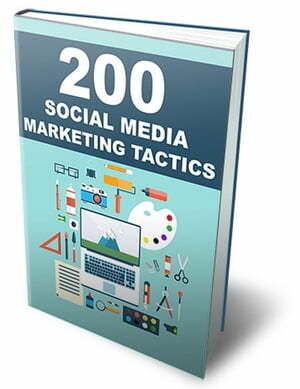 Collins Booksellers - 200 Social Media Marketing Tactics by Anonymous, 1230000339889. Buy this book online. Get Instant Access To 200 Powerful Social Media Marketing Tips To Increase Your Followers, Build Credibility And Gain More Customers! Social media sites like Facebook and Twitter are the new trend of the internet. It opened new possibilities to a communication and it improved the way people connect and share. Think of it as an online ground where people can meet and interact electronically. But as you know, business thrives where people thrives. And having realized the large number of people that login to social media sites on a daily basis, internet marketers found a new marketing channel for their online businesses. However, it is noteworthy that social media marketing is like a doubleedged sword - it is something that needs to be wielded correctly. In the hands of a skilled marketer, it is an effective sales tool. But in the hands of an amateur, it can turn success into demise. So to help you avoid the pitfalls of social media marketing, we made a list of 200 tips that will guide you to the proper use of social media sites. So read on and learn how you can turn social media sites into an effective marketing tool.